Perhaps it was in the mall, at a local retailer, or had the pleasure of trying one at your friend's home. The first time experiencing a massage chair is magical. The many settings and full-body experience had you feeling at ease. Stress lifted and your body felt reenergized. The experience placed it on your "must buy" list. But... wait just a moment and understand these, first. Q1: Can I afford it? 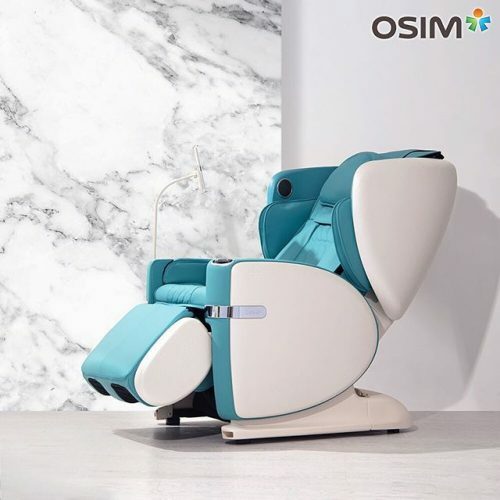 At OSIM, you are easily able to finance the purchase for 52 weeks, and the chair is readily available for the family to use. Alternatively, you may need to set and start a savings goal to buy massage chair. Q2: Do I have space? The deluxe massage chair models are big and bulky. They typically take up twice the space of a love seat once they've extended. Not to mention, you'll want to consider its proximity to a power outlet (in case you need to rearrange the room). There are chairs with variable sizes, like our uDiva Classic, better for small spaces. Else, check the tech specs for dimensions to ensure it'll fit the space you've designated. Q3: What are its features? Anyone could buy a set-top massage cushion to enjoy simple vibrations. You're eyeing the massage chairs for its full-body experience! Comfort will also play an important role. Factor your size and type to ensure its features work those troublesome areas. Q4: What are its massage settings? Each type results in different health & wellness benefits. It's common call to use -- stress relief -- will depend on your type of person. Look for a model with multi-settings to get the best of everything. Does style matter to you? Because many chairs on the market are clunky and basic. Use a comparison tool to not only look at their features but style and design, too. Q6: How's the company's support? What sense is adding frustration because the retailer won't answer calls? This trouble won't happen with reputable retailers. But, can and test their service before completing checkout, anyway. This will reveal friendless, warranty policy, and how they'll likely respond if needed.